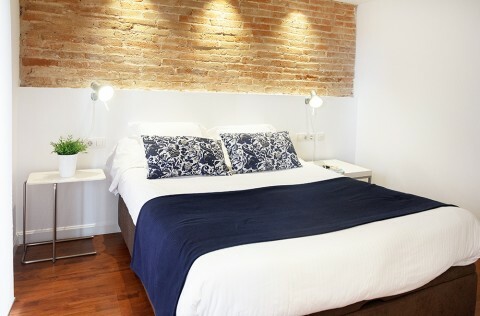 The Sagrada Familia apartment (HUTB-001044) is located on the first floor of a small two floor building. 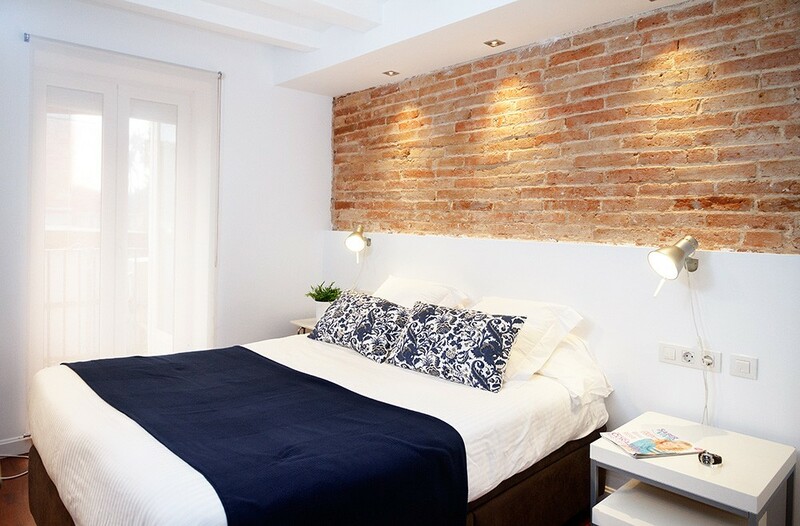 It was completely refurbished in 2006 and tastefully decorated in a contemporary style mixed with traditional architectural features that have been preserved, such as the lovely exposed brickwork on the walls and the typical Catalan brick vaulted ceilings with wooden beams. 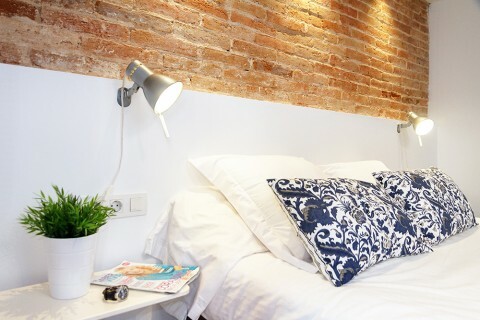 The master bedroom of this Barcelona apartment has a queen size bed, a bathroom with a modern shower and a small balcony facing the inerior courtyard of the block. We guarantee you always find the lowest price online when you reserve an apartment on our official website. If you find a lower price when you are booking for the same apartment, same dates and same rate conditions, we will match the lower price and we will discount twice the difference. 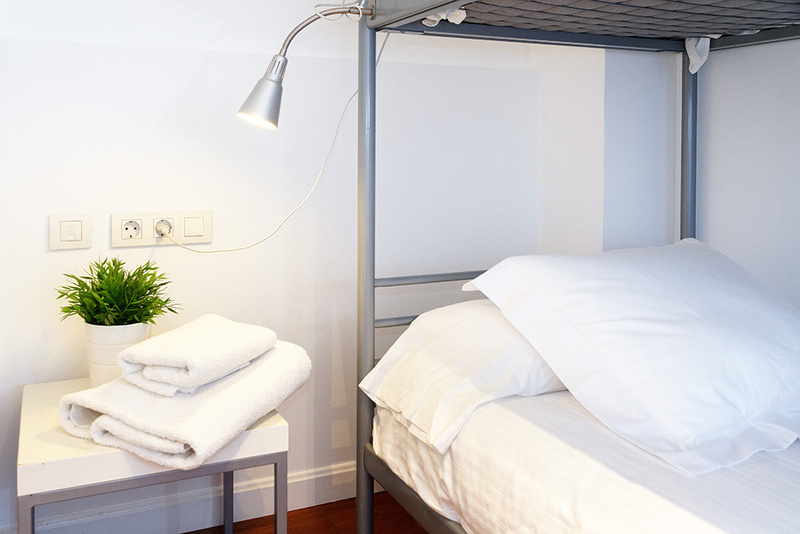 Subscribe to our newsletter and automatically get a 5% discount on your next booking. That simple. We offer a free pick-up service to all reservations made directly on our website for 5 or more nights. Applicable only for one single trip from El Prat Airport, train or bus stations or cruise terminal in Barcelona city. Do you prefer the views from the 3rd floor? 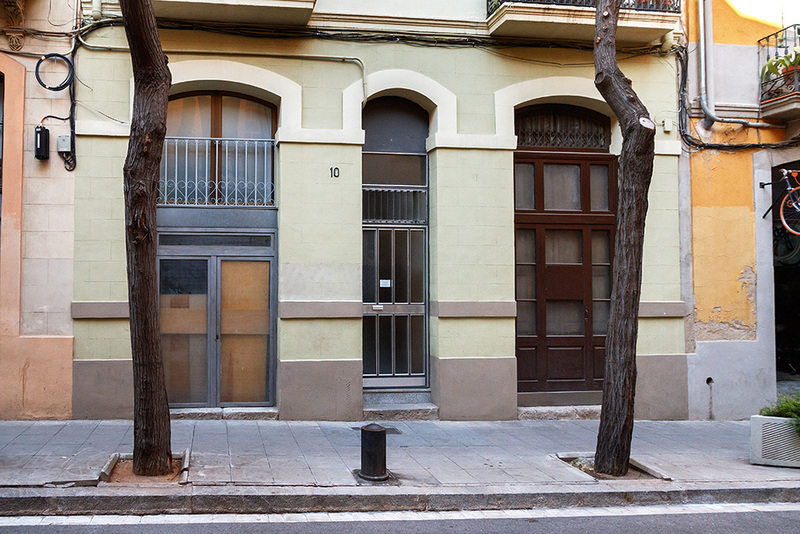 Or maybe an accessible apartment on the ground floor? Choose the specific available apartment that better meets your requirements within each type in our buildings. 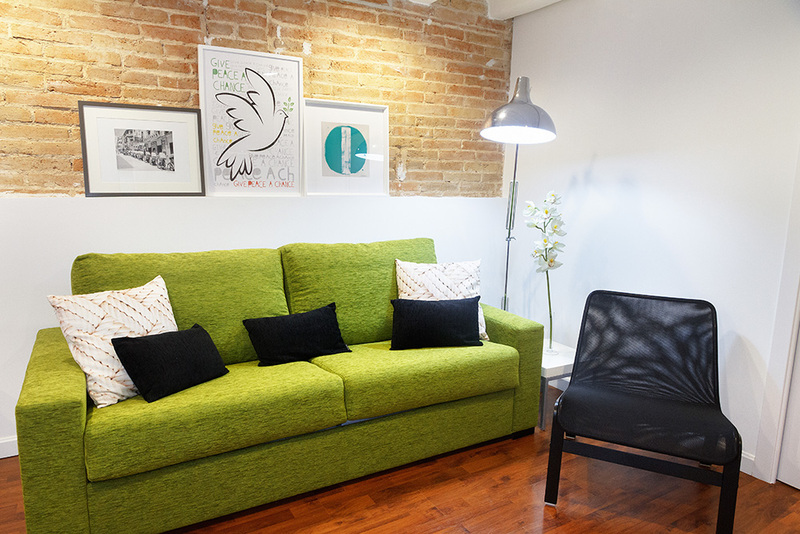 You will feel at home here, close to the city center and having breakfast whenever you want. 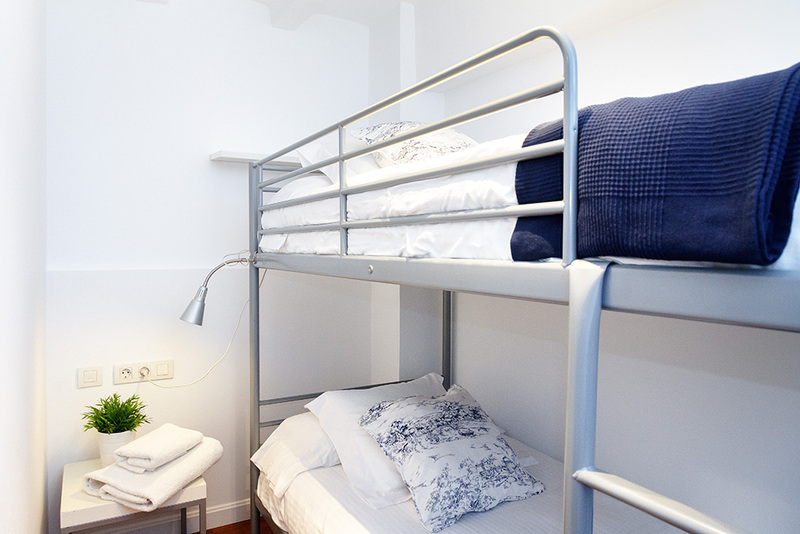 There is a second small bedroom with a bunk bed, ideal for your kids. 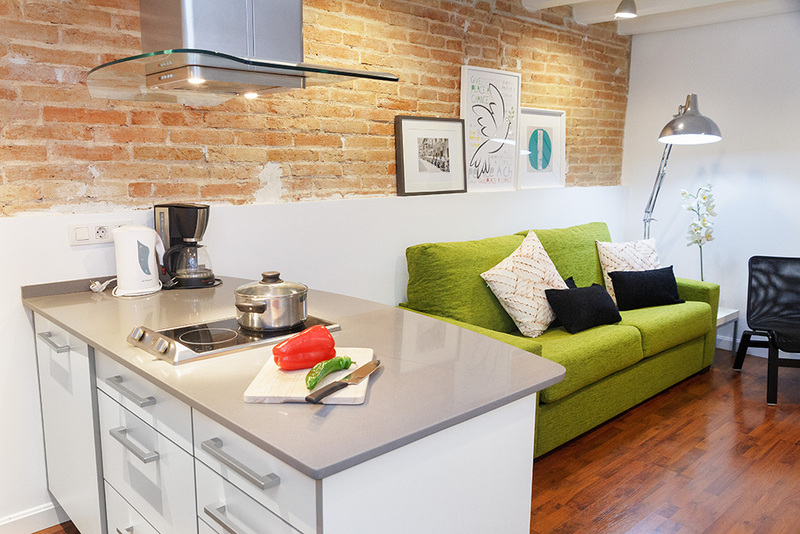 The kitchen and living area share the main space of this apartment. You can relax here and watch TV or listen to some music. 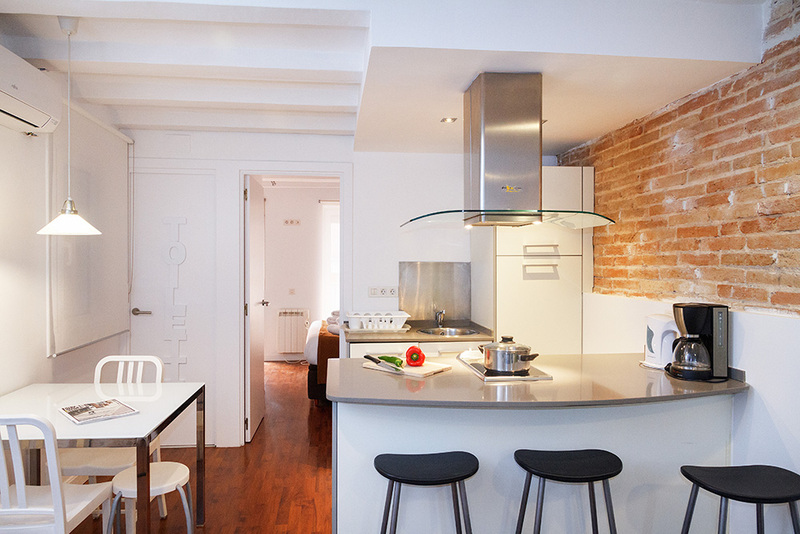 The kitchen is new and modern and comes fully equipped for self catering holidays in Barcelona with everything the guest might need to prepare a meal. This apartment in Barcelona is ideal for two couples or a small family looking for a stay away from the hustle and bustle of the busy Old Town district. We offer a variety of Sagrada Familia apartments. interesting tourist points of the city. It is 100 meters away from two metro stations and many bus lines, so you can get old town in 5 minutes and the beaches in less than 15 minutes metro trip. 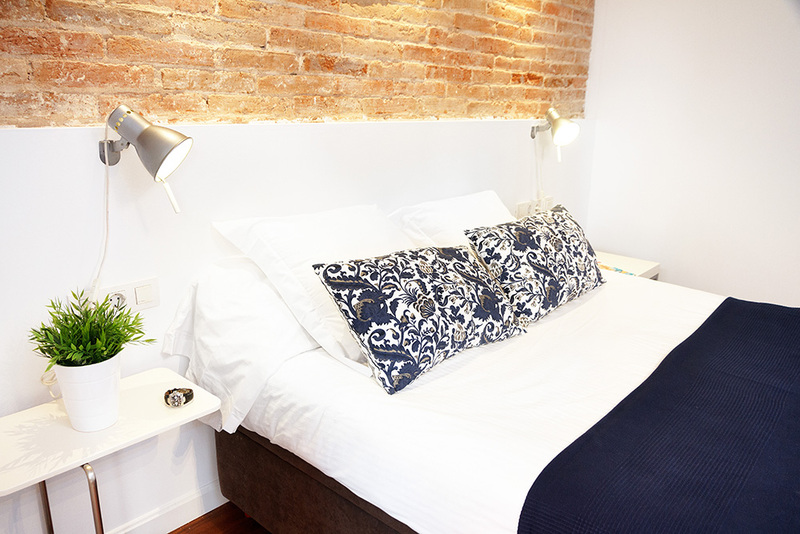 We offer a variety of Sagrada Familia apartments. The apartment is very clean and comfortable. It's situated near the metro station "Sagrada Familia" so it's possible to move to other city's areas really quicly and easily. Location was excellent, beautiful quiet street. Nicely appointed. Great apartment everything we needed is nearby. Perfect for families. La amabilidad de Brian. Respecto al apartamento, las camas son muy cómodas, la equipación es muy buena y la ubicación excelente. No noise, very central, very accessible to metro and public transport. Very well equipped. Beds extremly comfortable. 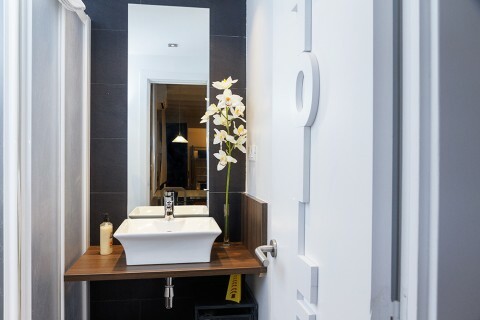 Overall very pleasant, comfortable, centre, excellent. En general nos ha gustado todo, la ubicación, limpieza y ambiente agradable. Destacar la amabilidad de la personas que nos recibió y su dedicación al aclararnos las dudas. La ubicación, equipamiento, espectacular! todo! muchas gracias!!! La ubicación ideal para grupos de amigos o familia. The location of the apartment. It is a nice neighbouthood. The kitchen is well equipped. Marc, our check-in guy was great! Good value for money. Friendly staff (Marc). Good location. Apartment is light and airy.